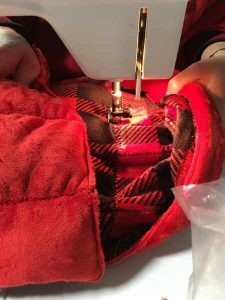 Weighted Blanket Class with Jo - Steph's Studio Inc.
Are you or someone you know suffering from Anxiety, Insomnia, Restless Leg, Depression, or PTSD? Weighted blankets may increase serotonin and melatonin to help you feel calmer, relax and sleep better. Learn how to make your own weighted blanket with Jo. It is suggested that you have some sewing experience to take this class.